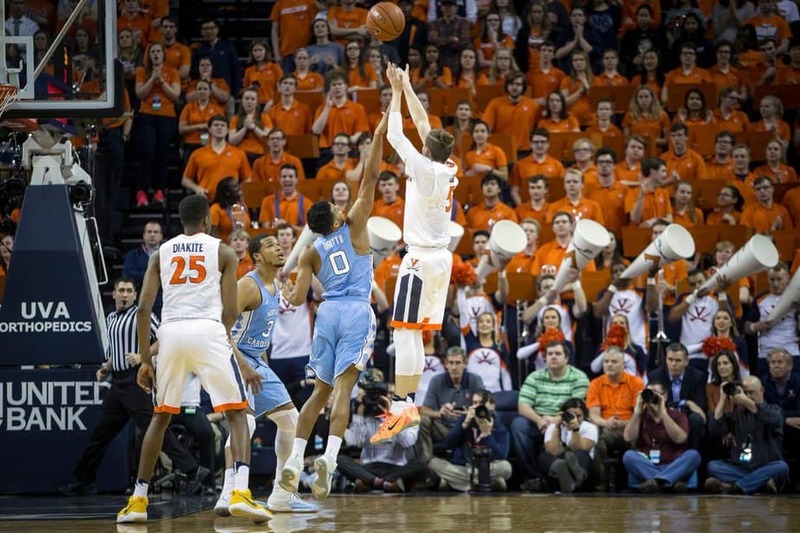 The North Carolina Tar Heels had a chance to lock up their 32nd regular season conference title Monday night against the slumping Virginia Cavaliers. Virginia came into the game having lost four of their last five. They, on the other hand, entered the game having won their last for games. A win for North Carolina would mean controlling their destiny. A win for Virginia would mean nothing as far as conference standings mattered. But it would give the Cavaliers some much-needed confidence heading into the conference tournament after a rough couple of weeks where they lost six of their last nine games. Confidence they needed—and confidence they got. Virginia’ defense performed like the No. 1 defense in the nation should and held the Tar Heels to the lowest single-game scoring output during Roy Williams’ 14 years as head coach. The Virginia offense took advantage of North Carolina’s turnovers and a decent effort from behind the arc (10-24; 2-20 the last time they played North Carolina) to beat the No. 5 team in the nation 53-43. North Carolina came into the game ranked seventh in the nation in scoring and averaging 86.2 points a game. The team’s leading scorer, Justin Jackson, was held to just seven points and hit only three of ten shots on the night (averages 18.4 a game). Only one player, Joel Berry II managed to score in double figures (12 points). After a Tony Bradley layup closed the gap to 40-39 with 9:26 to play it began to look like the Tar Heels might pull out a win. But the Virginia defense clamped down hard the rest of the way and allowed North Carolina to make just a single basket and score only four points. 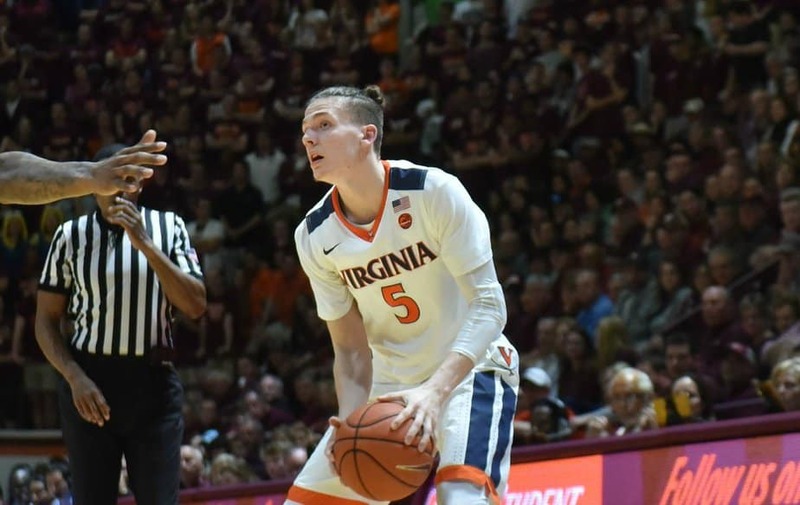 Freshman guard Kyle Guy led the way for the Cavaliers with 17 points and six rebounds. He was on fire from behind the arc hitting five of seven shots on the night. Senior guard London Perrantes had 13 points, and Devon Hall chipped in 11. The win secured Virginia’s sixth consecutive 20-win season. They will close out the regular season at home against Pitt Saturday afternoon. North Carolina still has the inside track on the ACC regular season title. All they have to do is beat Duke in their regular season finale Saturday night. The Blue Devils have lost their last two (heading into Tuesday night’s game against Florida State but had won seven in a row prior to that.